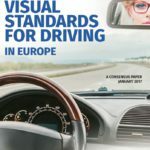 A new report prepared by ECOO looks into visual standards for driving in Europe and highlights the implications for eye health and road safety. The context in which eye care for children is available and the personnel providing the care varies across European countries. In some countries paediatric eye care is exclusively provided by ophthalmologists, in others by physicians or other health care professionals, and in others again care is predominantly provided by primary care optometrists who refer on to specialized colleagues, hospital-based optometry, orthoptic and ophthalmology colleagues as appropriate. The latter model is prevalent in the UK where the primary care optometrist is well placed to offer free, local, accessible, high quality paediatric services within the community through the National Health Service. 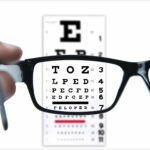 Low vision describes a visual impairment that restricts the ability to perform visual tasks in everyday life. This handicap cannot be corrected by ordinary glasses, contact lenses or medical intervention. Obvious types of visual impairment are the loss of visual acuity and the loss of visual field. Other examples include loss of contrast sensitivity, abnormalities in colour vision and night vision, as well as an increased sensitivity to light (such as disability glare or photophobia). ECOO believes that member states should use the opportunity presented by their implementation of the latest EU directives on driving licences to scrap the so called ‘number/licence plate test’ of drivers’ vision (and any other unscientific assessments of drivers’ vision) and replace it with an appropriate Snellen-based assessment, similar to that used in Finland, Germany and Ireland. This assessment should be completed by all applicants for a provisional driving licence to ensure that their vision is adequate to learn to drive. Moreover, since drivers cannot be expected to assess their vision against the detailed and technical standards of the directives as their vision changes over time, ECOO recommends that Group 1 drivers should undergo a screening of their vision when renewing their licence in accordance with the EU directive, including an assessment of their visual fields. The purpose of this paper is to describe the procedures required to perform a comprehensive optometric eye examination. It does not, however, require all the listed procedures to be performed and additional procedures may be indicated in some cases. Each eye examination should be conducted according to the patient’s clinical condition and according to the professional judgement of the practitioner performing the eye examination. The human eye is exposed to toxic Ultraviolet Radiation (UVR) from natural sunlight and man made artificial sources. UVR induced damage and related diseases can occur in a number of tissues within the eye, ranging from the corneal surface to the retina (Bergmanson and Söderberg 1995). The European trade associations active in the optical field are pleased to have the opportunity to respond to the public consultation on driver training and traffic safety education. We hope that its outcome will result in concrete actions to improve the road safety in Europe by implementing measures that improve not just competence and experience in driving, but also physical fitness to drive, including good visual acuity. From both statistical and intuitive perspectives, eyesight has an enormous impact on driver safety. The European Council of Optometry and Optics has great concerns about the unregulated sale of contact lenses by non-qualified sellers and from the internet, especially those with a plano prescription for cosmetic use. The reasons for these concerns relates to the risk potential, which may be sight threatening, that can arise with wear of any form of contact lens if patient compliance is lacking or professional management is inadequate.